Photo of the day: ZEN TAG – Seen in the side streets of the west 50’s in Manhattan, was this service entrance gate to a grocery store. Being so cold outside I was walking at a brisk pace but my eye still caught the Zen Buddha up ahead. But as I passed I noticed something clever. 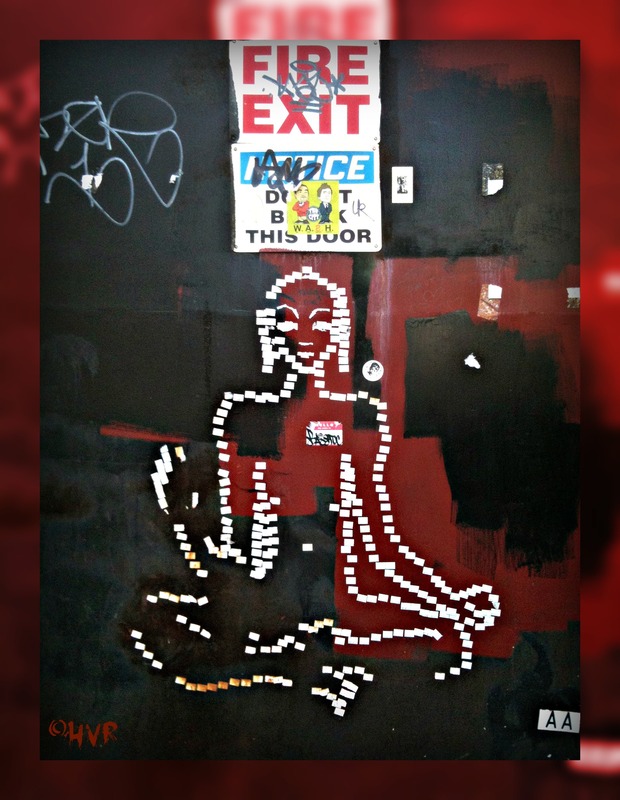 One of the grocery clerks had gotten creative with his pricing gun and created a ‘price sticker Buddha’ and place of Zen in an otherwise dreary garbage filled side alley. Namaste.